More than 100 members of Anash gathered this past motzei Shabbos for a special farbrengen and Melava Malka at the home of Rabbi and Mrs. Moshe Kugel to conclude a year full of growth in the Rebbe’s mivtzoim and strengthen each other for the upcoming year. 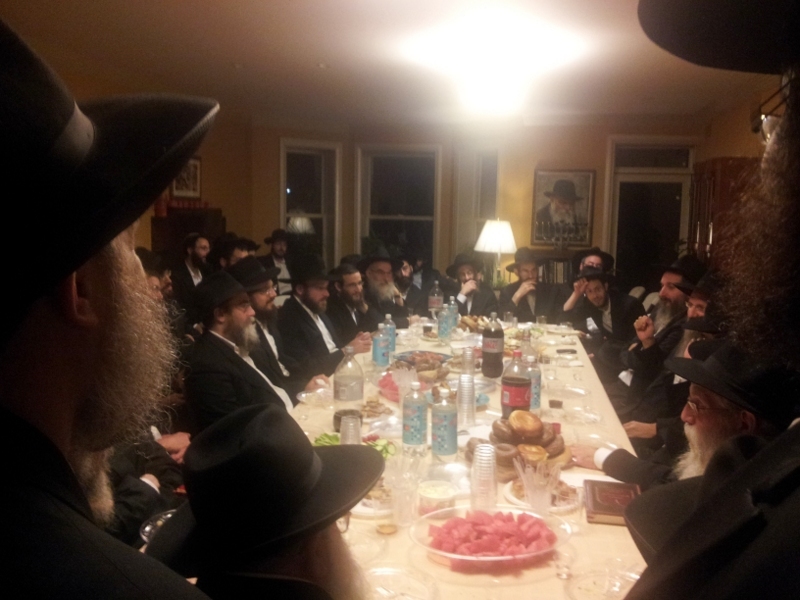 At the farbrengen were Anash of Mivtza Mezuza who visit Jewish homes throughout the New York area affixing mezuzos. Also present were Anash of JNet, as well as Anash who, throughought the yeaer, have joined many different mivtzoim projects by the Lubavitch Youth Organization, visiting hospitals, senior centers, and more. Rabbi Kugel spoke about the hashgacha protis of his JNet chavrusa from Canada meeting his son in Ukraine. Guest speaker Rabbi Berel Lazar shared many of his mivtzoim/shlichus experiences. He said that we need to try and seize every opportunity we have to share the Rebbe’s and Yiddishkeit’s message with the people with whom we come into contact that they are waiting to hear it. He concluded by saying that, at the same time that we need to understand our zechus that the Rebbe lets us be his representatives, we must also fulfill our responsibility. 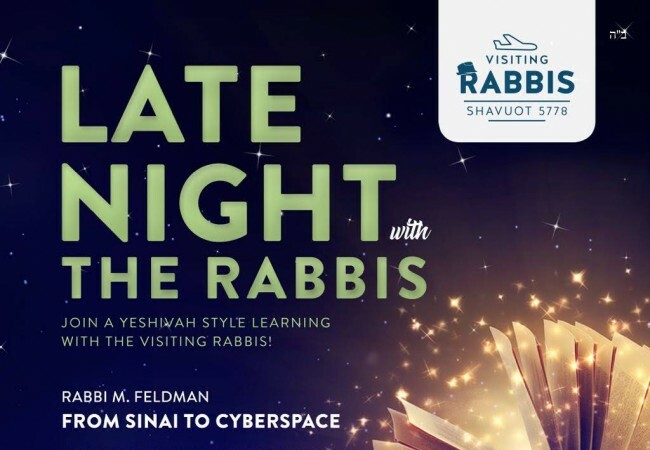 Rabbi Kasriel Kastel, Program Director of the Lubavitch Youth Organization and an organizer of the event, spoke of some of the directives that he received from the Rebbe in the early years of mivtzoim, and he encouraged the participants to join in as many mivtzoim as possible. Rabbi Yehuda Dukes of JNet spoke about the effect that Anash can have with just one phone call and thanked the more than 350 Crown Heights residents who already have JNet chavrusas. With more than 50 members of Anash participating, Mivtza Mezuza, run by Rabbi Shmuel Kesselman, sends out members of Anash every evening to prearranged locations throughout New York to affix mezuzos and speak about Yiddishkeit. If you would like to participate, call the Mivtza Mezuza office at 718-774-1780. This year, the Lubavitch Youth Organization has arranged hundreds of mivtzoim locations every yom tov for Anash and their families, in addition to helping Anash with their own mivtzoim needs. For example, hundreds of packages of matza were shipped nationwide this year on behalf of Crown Heights Anash. To join the Anash mivtzoim list, call 917-439-6646 to reach Tzali Laufer at the Tzach mivtzoim office. JNet gives Anash the opportunity to give a shuir on the phone or online for half an hour a week. More than 1,300 people are learning every week, and 100 have been set up last month alone. JNet is always looking for more volunteers, both men and women. To get more information or to volunteer to learn with someone, call 718-467-4400 or visit www.jnet.org.